Located close to Westferry DLR & Canary Wharf, this 882 sq ft, second floor apartment is very spacious. Offering two double bedrooms, two bathrooms, it also features a large reception with balcony, which opens to a well fitted kitchen. Secured off-street parking is a great bonus. Easy access to both the City and Canary Wharf, and good proximity to shops, restaurants, bars, cinemas and gyms make this a 'Must See' property. View now! 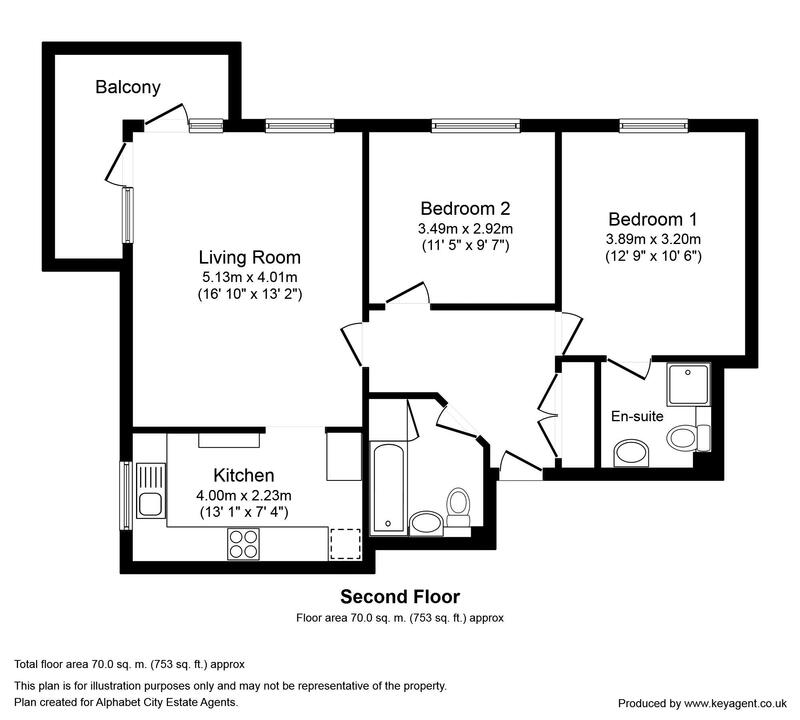 Reception, fully fitted kitchen, master bedroom, en suite shower room, bedroom, family bathroom and balcony.